Jays Care Foundation, the charitable arm of the Blue Jays, is proud to announce the extension of its partnership with KidSport. Jays Care will once again invest $100,000 this year which will provide 500 children & youth the opportunity to participate in baseball programs across Canada. 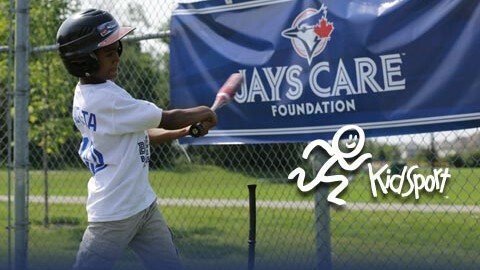 In 2014, Jays Care’s $100,000 contribution provided 500 deserving kids a season of baseball and led to a 25% increase in KidSport baseball grants from 2013 to 2014. Successful applicants will receive differing levels of funds depending on location within Canada. Funds will be submitted directly to successful applicants’ local baseball associations. Read below and see how easy it is to get in the game.